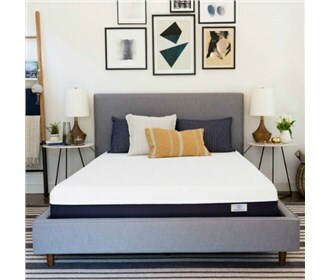 The Simmons BeautyRest Smart Technology 10" Mattress offers enhanced conforming support, and great comfort. This mattress opens up a whole new world of Better Sleep. It comes with Aircool gel memory foam with gel infusion to provide pressure relief by conforming to your unique shape. The mattress also has SleepTracker Sleep Monitor that contains a powerful processor, highly accurate sensors, and an intuitive app. This system monitors your sleep with pinpoint accuracy while the user friendly app translates precise data into smart, actionable advice designed to help you unlock a better night's sleep and a bolder you. The BeautyRest ST 10 Twin Mattress has many exciting features for users of all types. See the BeautyRest ST 10 Twin Mattress product video and gallery images above for more details. The BeautyRest ST 10 Twin Mattress is sold as a Brand New Unopened Item.